Presenting the 2016 Uplifting Only - Orchestral Trance Year Mix! With the best and all the highlights of 2016 in orchestral uplifting trance. This year, the first half of the compilation features several vocal tracks, and the second half is all instrumental. 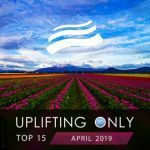 Fans of Ori Uplift's top-rated radio podcast Uplifting Only voted for their 2016 tune of the year, and this mix compilation is largely based on the results, along with a few additional expert picks by Ori. And none of these tracks have been included on any Uplifting Only mix compilation before! So even if you have all past ones, you won't be repeating anything when you pick this one up. In total, there are 20 full mixable tracks, 3 radio edits, and 2 continuous mixes. The two continuous mixes - which themselves are reason enough to pick up this mix compilation - feature Ori Uplift's characteristically top-notch and flawless mixing that accentuates the flow of the tracks. The two mixes unite and roll together all the best of 2016 into just two extended works. Full tracklist below! 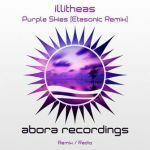 This includes your favorite artists: illitheas, Kelly Andrew, Ahmed Romel, SoundLift, Aly & Fila, Darren Porter, Sound Apparel, Simon O'Shine, Sergey Nevone, Mhammed El Alami, Danny Claire, Victoriya, Allen & Envy, Type 41, Menno de Jong, Adam Ellis, Kate Louise Smith, Jak Aggas, Andy Ellias, Mike van Fabio, ARCZI, Johannes Fischer, Plutian, Nick Parker, A.R.D.I., and more! In all, this year mix sums up all of 2016 for emotional and orchestral uplifting trance! Enjoy!